Your mirror neurons activate when you see someone else enjoy a reward or risk harm; thus, your happy circuits are influenced by those around you, and your happy circuits were shaped by those you mirrored in youth. 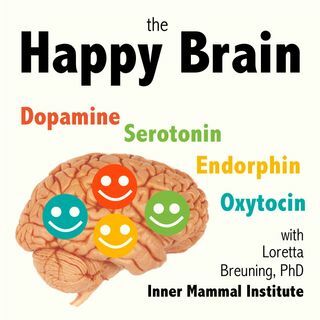 Happiness is caused by four special brain chemicals: ... See More dopamine, serotonin, oxytocin, and endorphin. When you know how they work in animals, you can find your power over them in daily life. The happy chemicals are not designed to flow all the time for no reason. They evolved to reward behaviors that promote survival in the state of nature. They are only released in short spurts, so you always have to do more to get more. This makes life frustrating! The Inner Mammal Institute has resources that help you make peace with your inner mammal: books, videos, blogs, graphics, and podcasts. You’ll find out what turns on your happy chemicals in the state of nature, and how you can turn them on today. It’s not easy being mammal! But you can build your power over your mammalian brain chemicals. Listen! Read! Join the conversation! Music from Sonatina Soleil by W.M. Sharp. Hear more of it at InnerMammalInstitute.org/musicbywmsharp.